GeniePoint Live Maps provide information on availability, status and pricing for every charger on the network. 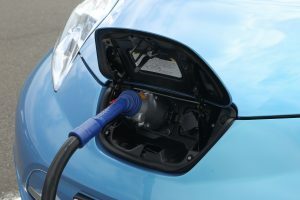 ChargePoint Services has purchased energy company SSE’s interest in the 51 EV charging networks across Hampshire & Cornwall. ChargePoint’s Genie Platform has provided the back office management behind the network since its inception. Using the GeniePoint Network, drivers are charged by kWh, and only pay for the energy they actually use. Its Live Maps provide information on availability, status and pricing for every charger on the network, and can notify a driver already using a charger that there are other drivers waiting to charge. Any compatible RFID card can be registered as an access card, including London’s Oyster Card, as well as other EV network cards and emergency SMS top-ups, to facilitate easy access. Across the two areas of Hampshire & Cornwall, there are currently 23 tri header 50kW rapid chargers and 28 twin socket fast chargers. ChargePoint aims to expand these numbers, providing additional chargers for drivers at multiple sites across the counties.